All aspects of what makes us human: mind, body, emotions, Spirit, affect our health and happiness. If you can accept this interconnected perspective of life, if you see your diet, weight and your health as related to the emotional, mental, and spiritual aspects of your life, then the raw food lifestyle is for you. Raw food isn’t a magic bullet. It is part of a lifestyle that requires responsibility commitment and time to incorporate properly into your life. 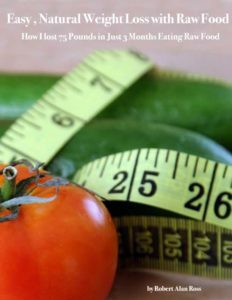 Weight loss itself is just the natural result of a healthy raw lifestyle. Re-build your body, especially your immune system, digestive system and elimination system. Cleanse your mind, emotions & Spirit. The Colon. If you are not having two to three good bowel movements every day, you probably have a toxic colon. If the colon is not fully releasing the waste that accumulates there after each meal, that waste rots, turning s putrid and toxic. This toxic waste leaks back through the wall of the colon into your bloodstream creating a dis-ease and making it harder to lose weight. This also creates a condition where your body feels it needs more nutrition, sending your signals to eat even more food. In my experience, when your system is toxic, you have less energy for exercise, which can also contribute to excess weight and prevent weight loss. In every instance of weight management with which I have been involved, there was toxicity of the colon. When the colon is toxic, it is also a breeding ground for parasites, causing yet another toxicity problem that can interfere with weight loss. Parasites are often hidden cause of colon toxicity, low energy and weight imbalance. You can pick up parasites almost anywhere these days: walking barefoot in the yard (and house, if you have indoor pets), eating greens that have not been properly washed, swimming, eating cooked meats, etc. A good herbal parasite cleanse might be just the thing for you. Research them for yourself. I prefer an herbal parasite cleanse myself. There are several available from health food stores, or at my MarketPlace. One of the first thing I usually recommend for people who want to lose weight is a good colon cleansing. There are several products available, and BrainGarden offers some good ones as well. I also like to periodically get a professional colonic from a trained Colon Hydrotherapist. Remember, if you have any medical problems with your colon, such as colitis or Irritable Bowel Syndrome (IBS), please check with your doctor first – your digestive system can be gently healed with more live foods, but it may require a slower, specialized approach. Your Liver. The liver is a vital organ for the health of your body. It’s impossible to maintain good health with an unhealthy liver. Due to high pollution levels in air, water and cooked food, a liver cleanse can be helpful before beginning a raw diet. An effective liver cleanse can take weeks. Just taking something for a few days is not sufficient, and not even a good idea as it can lead to a healing crisis or sudden shock to the body. If you haven’t done a good liver cleanse within the past 6 months to a year, a toxic liver may be part of your inability to lose weight. Research the various programs available and choose one for yourself. I prefer an herbal liver cleanse that includes milk thistle, one of the best herbs for cleansing the liver. Your Blood. If the colon and/or liver are toxic, I believe your blood is probably toxic, too. To support your body in losing weight, I believe that it is good idea to cleanse your blood. As always, research available products and programs yourself. I prefer a gentle herbal approach that includes red clover, one of the best blood cleansers I know. In my experience, Red Clover is gentle and very effective, even for children. Yeast. Yeast is another hidden, insidious obstacle to weight loss. Make sure that you don’t have a Candida problem. If you do, there are herbal products to deal with it naturally. Research and find a good formula. Eliminate sugar, wheat and white flour, MSG (monosodium glutimate) and Aspartame (NutraSweet) – this is automatic if you eat raw foods. Initially, as your cells dump the candida into your blood, it may seem worse, but eventually a raw diet will eliminate the excess candida. Misc. For reducing heavy metal toxins, the herb Cilantro is good. Just munch on it fresh or make a tincture.There are many other cleanses (kidneys, lungs, etc.) but these are the major ones. I believe that it is important to eliminate the biggest nasties from your diet right away: refined sugar, MSG, aspartame (NutraSweet) and hydrogenated oils. Stevia is the best herbal alternative to sugar, though it may take some getting used to. An herb called Gymnema Sylvestre is also useful in dealing with reducing sugar in your diet, as it helps directly with sugar cravings. Once you get your body clean and feeling healthier, you can turn your attention to building your system up. This is a vital second step on the path to “permanent” weight loss. This is another area for personal research, but here are some areas to consider. I’ve discovered that one of the overall good health supplements for normal weight, pain reduction and just keeping the body functioning properly is colloidial minerals. There are many good formulas out there. I’ve learned you may not don’t need minerals every day. I use internal feedback to determine if I take them or not. Raw foodists eventually develop powerful instiinctive eating abilities. Dowsing or muscle-testing is also great. Nothing works faster to help me relax than a few whiffs of the right essential oils. That’s why ForeverGreen features the finest essential oils. It’s similar in thinking to aromatherapy. Regular inhalation of certain essential oils has been proven to aid in appetite reduction, while others work remarkably well for relaxation. Use oils every day. Potent, pure therapeutic grade oils also oxygenate the cells and I find that regular use greatly increases energy levels Since many are antibacterial as well, they are great for working and living in today’s polluted world and I feel that they give me a certain amount of protection from toxicity in the air, foods and general environment. With weight management challenges, you need to carefully watch for emotional and mental triggers until your awareness of these have reached a point where they change naturally. This is where many dieters give up. At first it can be very difficult to be detached and non-judgmental about our triggers. We all to often end up eating so we don’t have to look at what we begin to see about ourselves when we’re not numbing ourselves with food. If we can ever get paste that point, true emotional and mental repatterning can occur. So try to objectively observe what your triggers may be. Research this field for yourself and find the resources you resonate with, from books and videos to workshops and spas. Some activities can help re-direct an urge to eat: Take a walk, dance to some good music, take a hot shower, drink some herb tea, do something creative, call a friend, prepare a new raw recipe that takes some effort and time, cuddle with a loved one, meditate, chant or pray, drink more water (should be drinking water every two to three hours anyway), inhale some essential oils such as lemon oil, read a book. laugh and have fun! Some people like to get counseling or join a weight loss group. Take the risk of talking with others who are going through the same things you are. It will be invaluable support. Reach out. If you your emotional baggage is contributing to your weight, you might find that a release ceremony is effective for releasing past wounds, hurt feelings, and fear based on past experience. There are numerous workshops, books, videos, audio programs and web sites dedicated to these subjects. Research them for yourself to find the ones you resonate with and that are in harmony with your own beliefs. Of course, no weight loss program would be complete without including exercise. For myself, I like the Total Gym – it’s easy and fun to jump on every other day for about 15-20 minutes. I’m planning on joining a gym and doing more exercise, but don’t hold your breath! I also do Tai Chi almost every day. Tai Chi is great for building energy, toning the body and enhancing lymph circulation and cleansing. I also like to walk a lot and ride a bike when I get a chance. I love dancing, which is a natural way to get some aerobic exercise, too. 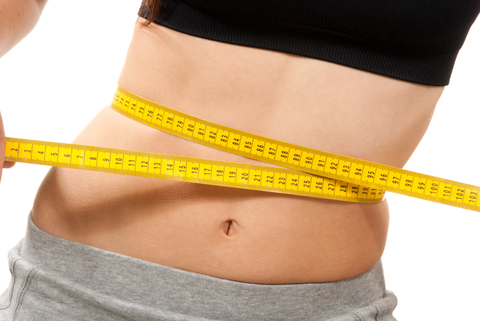 Keep watching this web site for more information about weight loss in the future. Originally published 2008 and updated regularly. Remember, if you are under medical care for any condition, please check with your doctor or health professional before adding any new product, diet change or cleansing program to your treatment plan! Though you may lose some weight quickly, it is often necessary to cleanse & heal your digestive, elimination and immune systems before you feel better, lose alot of weight or experience all the benefits of a raw food diet. This site also has some good articles on the possible connection between MSG consumption and migraines. There is a book and website called The Oiling of America that will give you the necessary motivation to stop using hydrogenated oils, like Crisco, margarine, etc. In general, what hydrogenated oils do is make our cells kind of stiff and like plastic rather than fluid and flexible. They become unable to retrieve vital nutrients they need. Cut out the hydrogenated oils as much as possible. Also, sniff some therapeutic grade essential oils every day as they oxygenate the cells and help counteract the effects of hydrogenated oils. NOTE: partially hydrogenated oils are actually worse than fully hydrogenated. Take some peppermint oil if you if you must eat out in a restaurant (You WILL get hydrogenated oils whenever you do this, unless it’s a very rare, purely organic establishment that clearly states otherwise on the menu), then I just take a whiff or two of the oil during and after the meal. Take some digestive enzymes and a Pro-Biotic formula, too. These are good any time you eat out or use cooked foods. This E-Book is my FREE Gift to you with every juicer purchase! After struggling with chronic fatigue for years, which slowed my metabolism, I gained more weight than ever before. I got most of my health back on a diet that averaged about 80% raw foods, with lots of cleans- ing and detoxifying. But after four years eating mostly raw, I still had a long way to go. I finally woke up one day and realized that it was time to go 100% raw – it was like stepping out of a fat suit into my real body. The fat was disappearing, almost magically, virtually overnight. I didn’t even exercise (though I do now). Of course, years of cleansing, detoxifying and rebuilding my digestive and immune systems prepared my body for losing a lot of weight and – even more importantly – keeping it off. In fact, I was dropping weight so fast I had to eat lots of nuts, olives and avocados to slow it down. Over the next few months I lost 75 lbs. I kept that weight off for almost two years. Since then, it has been an ongoing struggle – yes, even for me. Though I have kept most of it off on a mostly raw diet (90-100% raw), I have a tendency to occasionally fall off the wagon – like most normal people! So last year, after gaining back about 50 lbs., I went did a 3-week cleanse and a strict raw diet, and lost about 35 lbs. in about two months. Of course results vary from person to person, and may change with what’s going on in your life – like they did for me. This isn’t magic – it’s enzymes! My metabolism slows down when I make less-than-optimal food choices, then kicks back in when I go back to what I know is right. I think it’s perfectly normal to slip occasionally, so long as I get back on track eventually. Raw food works for me, and I decided to make it my life’s mission to help it work for you, too!